The exterior packaging is good quality printed glossy card coloured with the violet/purple design regularly seen with Tesoro products. 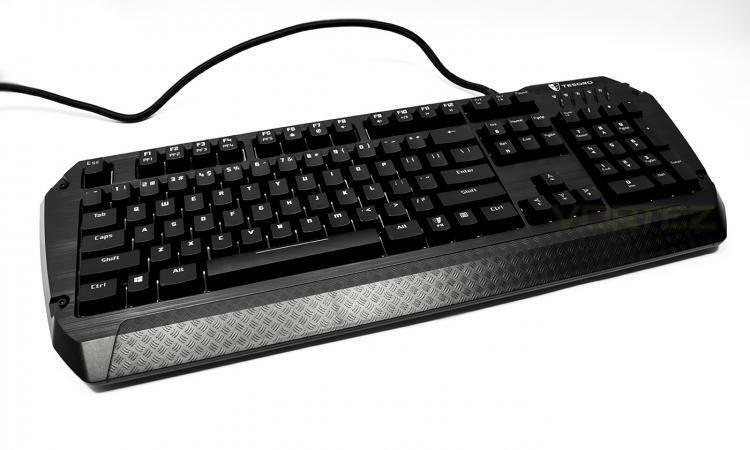 Some features of the keyboard are listed as little armour icons which is a nice touch. At the back we get a large diagram which points out more features, including an instant gaming profile switch and an on-the-fly macro recording switch. 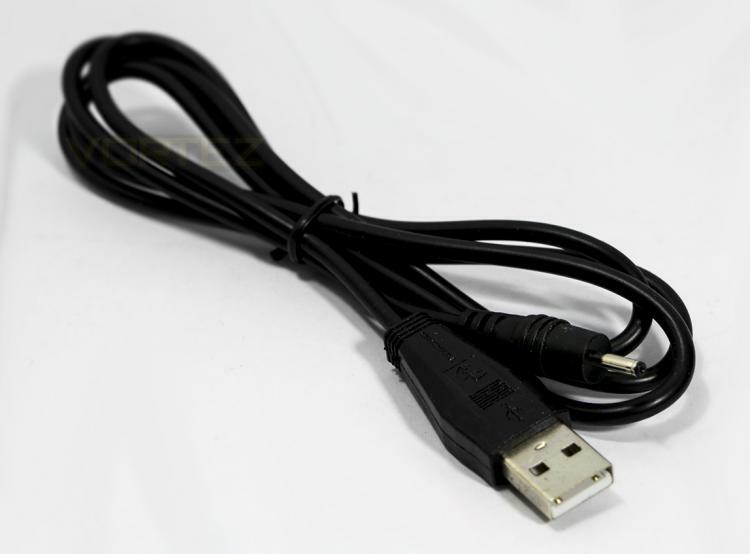 Included with the Lobera Spectrum is a USB to DC power cable to boost the power to the USB passthrough for charging your phone and tablets. 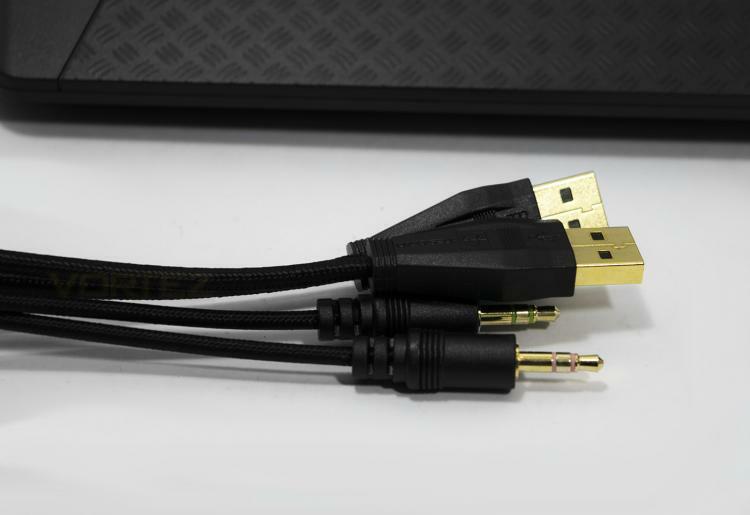 The 1.55m braided cable ends with 2x USB connectors and 2x 3.5mm jacks for microphone and headphone pass through. 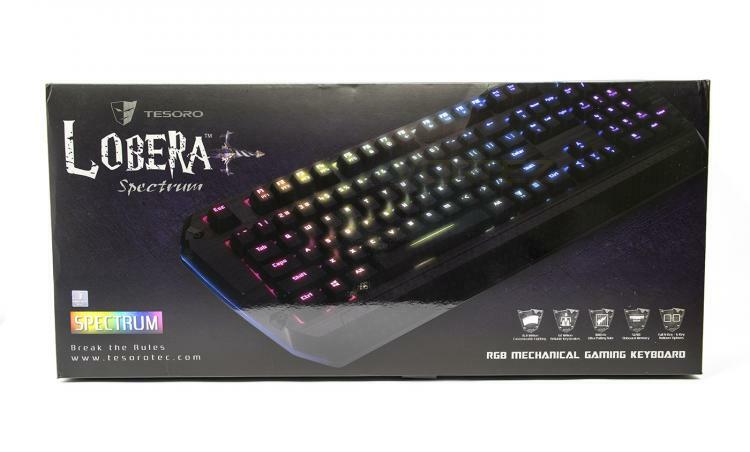 The Lobera Spectrum keyboard. Aesthetically, the Lobera has a faux brushed aluminium effect in plastic which is attractive, albeit misleading, I am sure many would prefer the real thing though the quality feels good. 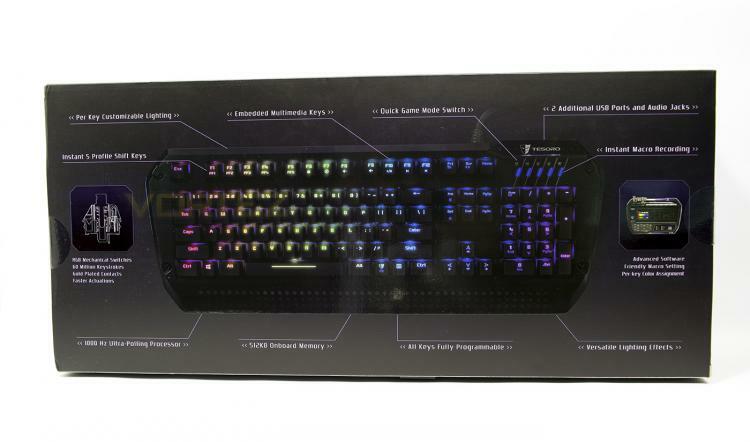 Under the key caps there is a white background like what we saw with the Razer Blackwidow, which helps the LED lighting pop out more.